Scotland's Best selling Tartan Sash and extra long scarf. Perfect accessory for evening wear. Great for Burns Night, traditional Scottish dance and ceilidhs. 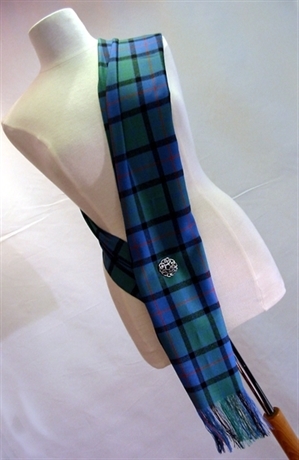 Fasten with Plaid brooch or clan badge. Also nice and Cozy for outdoor use, just double loop. 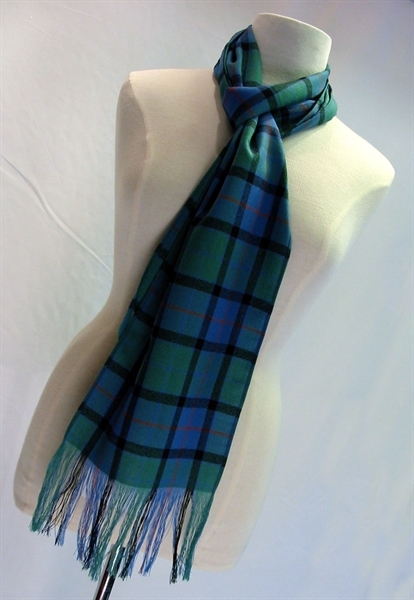 Scotland's Best selling Tartan Sash and Extra Long scarf. Pure New Lightweight wool, available in over 500 tartans. Perfect accessory for evening wear. Great for Burns Night, traditional Scottish dance and ceilidhs. Fasten with Plaid brooch or clan badge. See Plaid Brooches, Clan Badges. Made to Order. Also nice and cozy for outdoor use, plenty of length for double loop. Each one made to order, ALLOW 2-3 Weeks. Pair with Man's Bow tie or Necktie. Each one made to order, ALLOW 2-3 Weeks.